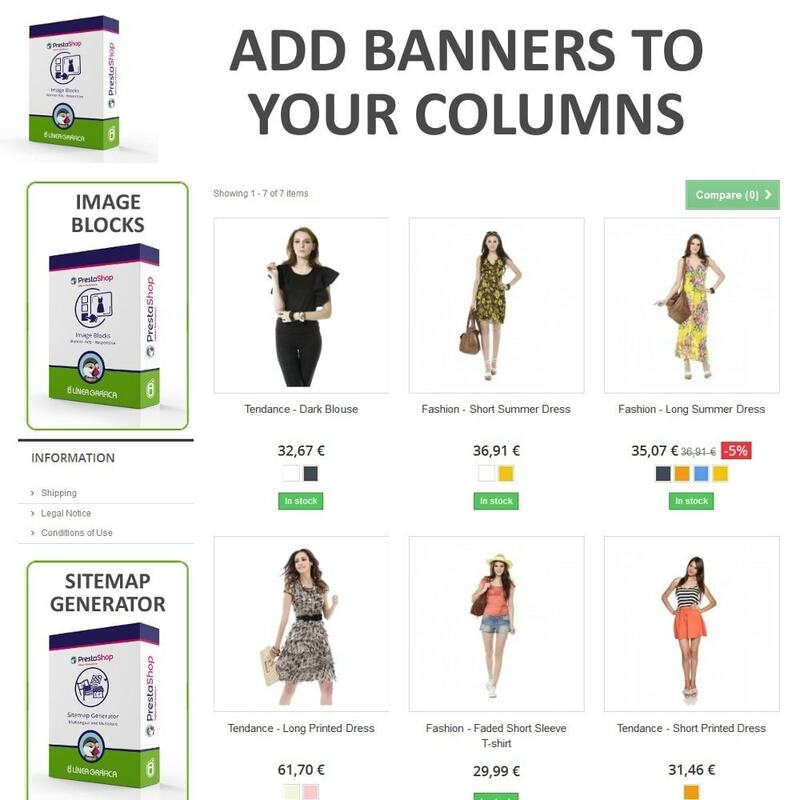 Our module allows you to add up to 5 banners adds to your store and put them wherever you want : on the left column (hookLeftColumn), right column (hookRighColumn) or homepage of your store (hookDisplayHome). You can also attached a link to every image block to send your customers to a specific page of your store. 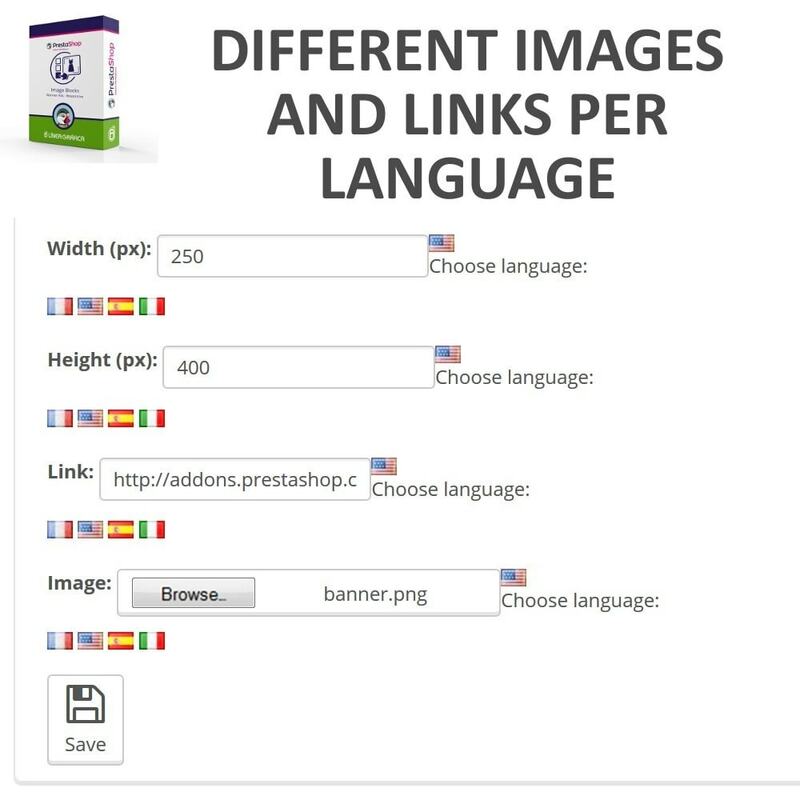 The multilingual interface makes the module unique and allows you to add different images and links for each language of your store (multilingual stores) in order to adapt the content of the block to all your customers. This module is really easy to use. You only need to set the image width and height, add a link and upload the image. 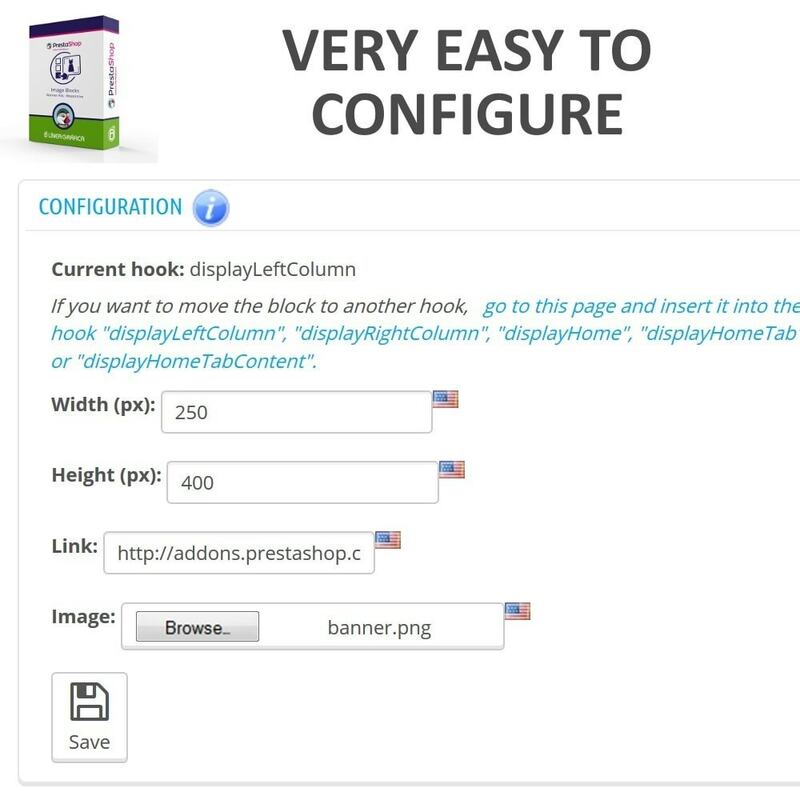 If you put an image into a column, set in pixels the same width as your column width (for example "Width: 300") for the image and it will be displayed responsively (using PrestaShop block system). If you put an image on your homepage, set in percentage the image width (for example "Width: 100%") and the image will be displayed responsively. 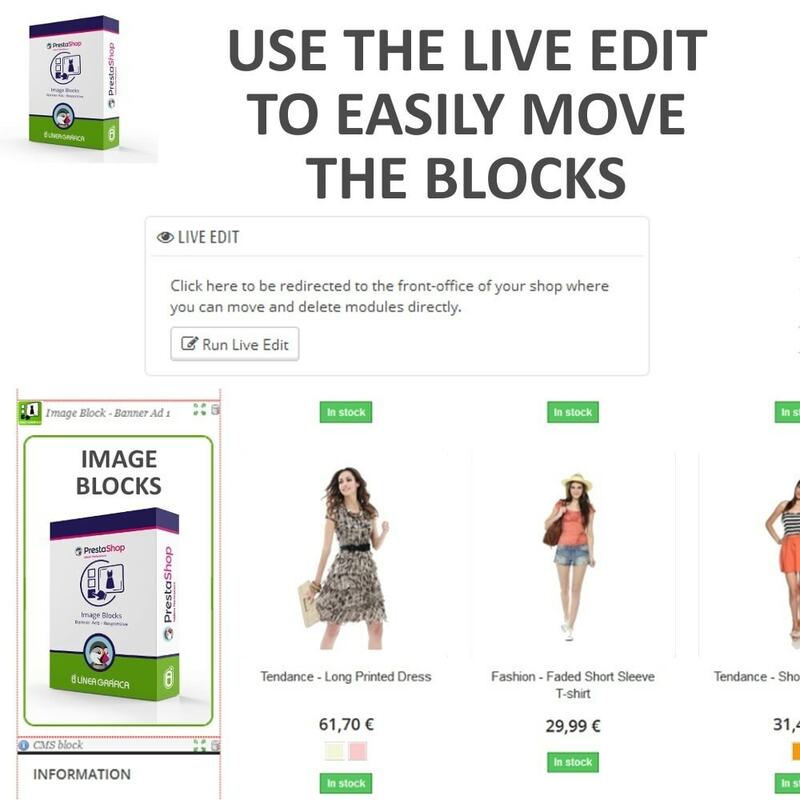 Click on Manage hooks and Run Live Edit to move the block and put it where you want it to be (left column, right column or homepage). 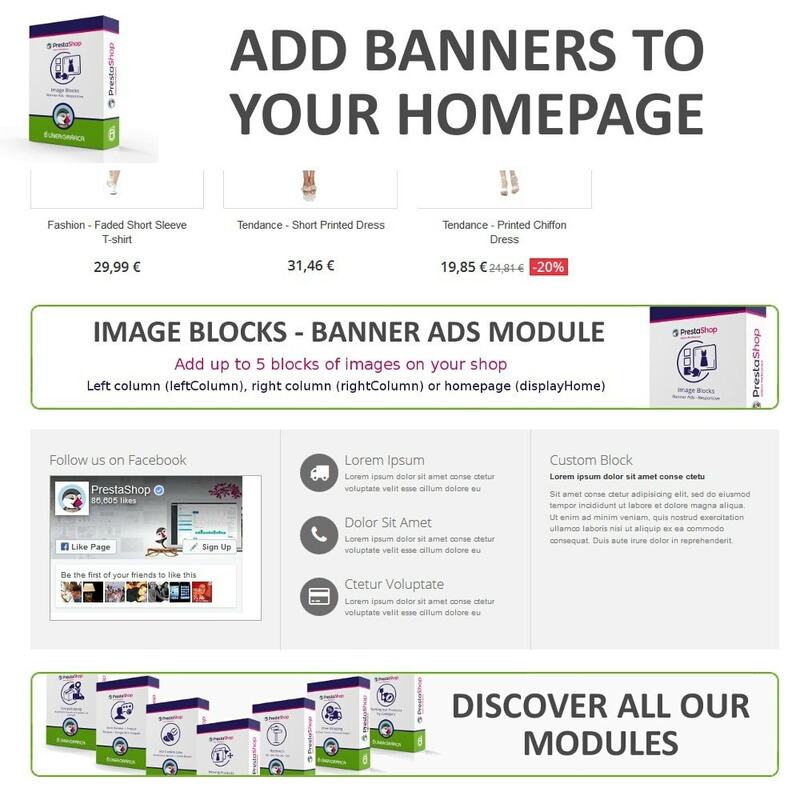 Each banner is independent, which means that you can control each hook individually and show or hide a banner whenever and wherever you want. However, the banners can't be displayed side by side, each block automatically takes the whole width of its container. 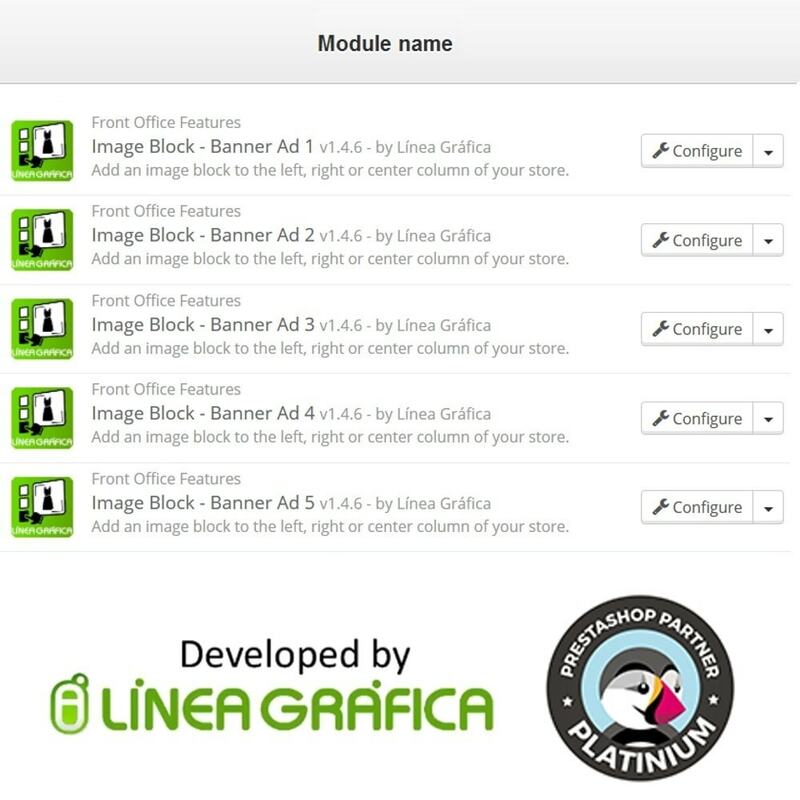 It is possible to use the module in multistore but the images will be common to all shops, it is not possible to set different images by shop. the assistance and contact with the developer are fast and accurate.